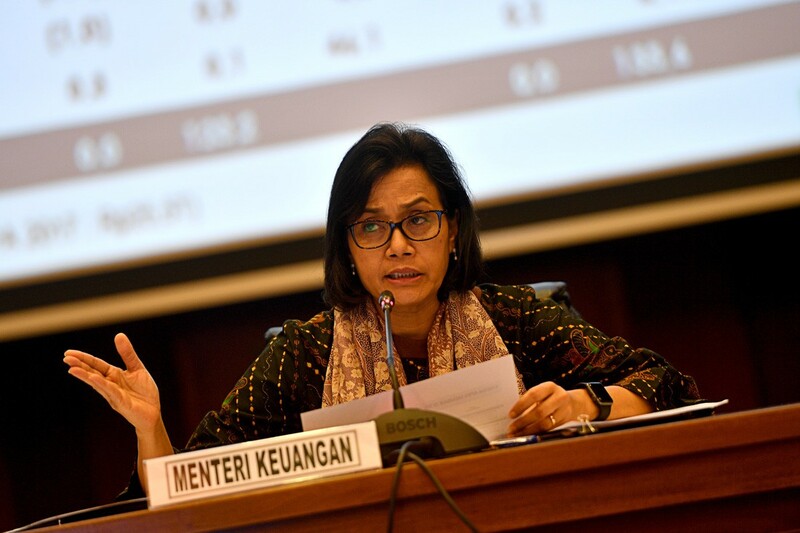 Although the rupiah strengthened to below Rp 14,900 per US dollar on Thursday, Finance Sri Mulyani Indrawati has said that the government and the central bank would monitor the currency amid global uncertainty. In the foreign exchange spot market, the rupiah was quoted at Rp 14,892 per US dollar on Thursday, strengthening 0.30 percent from its position on Wednesday, while according to Bank Indonesia’s rate, the rupiah strengthened by 0.24 percent to Rp 14,891 per US dollar. Rupiah was further strengthening on Friday morning as it stood at Rp 14,890 per US dollar at 9:20 a.m., according Bloomberg. “We will always face uncertainty, therefore, we have to always stay alert,” Sri Mulyani Indrawati said in Jakarta on Thursday as reported by kontan.com, referring to global pressures against emerging markets due to the trade war between the United States and China and speculation of an increase in the Fed Fund Rate. Securities firm Valbury Asia Futures analyst Lukman Leong said the rupiah was strengthening because of Bank Indonesia's intervention. He said the rupiah would still be under pressure on Friday but believed that the intervention would prevent it from weakening further. “BI has to keep its intervention. It is important to prevent the currency from hitting Rp 15,000 per US dollar,” he said on Thursday, adding that the government and central bank policies had received a positive response from market players.